The Blackrock Baths was created following public outcry at access to the sea being cut off by the building of the Dublin-Kingstown railway line in 1834. 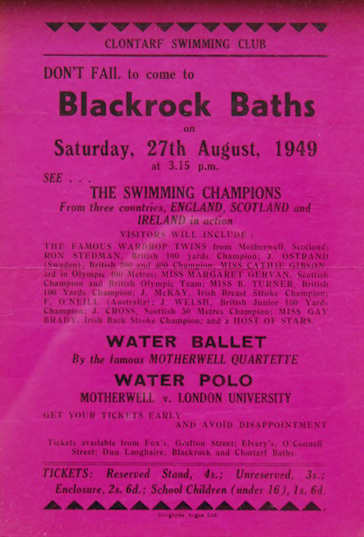 Hugely popular, the baths often witnessed displays by Dublin’s great high-diving and springboard-diving champion, Eddie Heron. During the 1980s the baths fell into disuse and were later dismantled and sold to a private firm.